Your dream awaits in this traditional single story home! 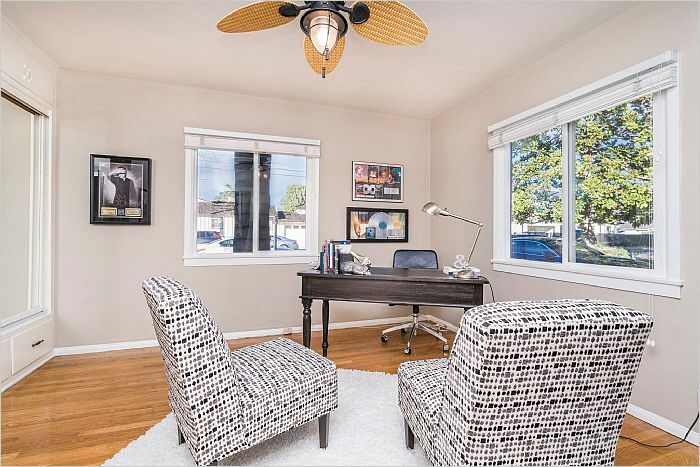 With over 2,000 Sft, this home offers 3 bedrooms, 2 baths, and a professional recording studio. 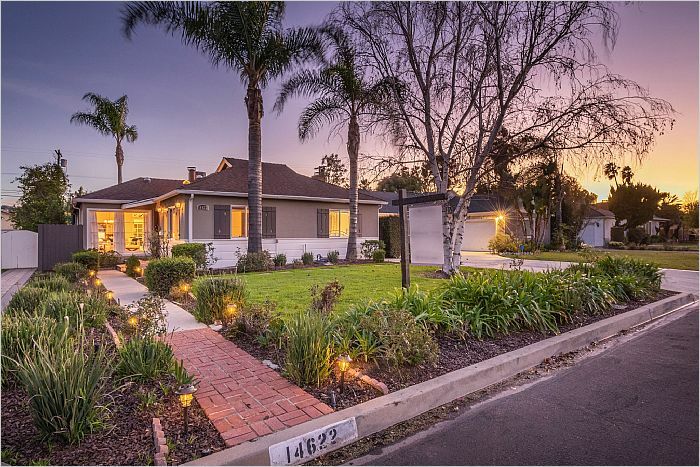 Beautiful green landscape, orange trees, palm trees, and lovely walkway welcome you and create incredible curb appeal. 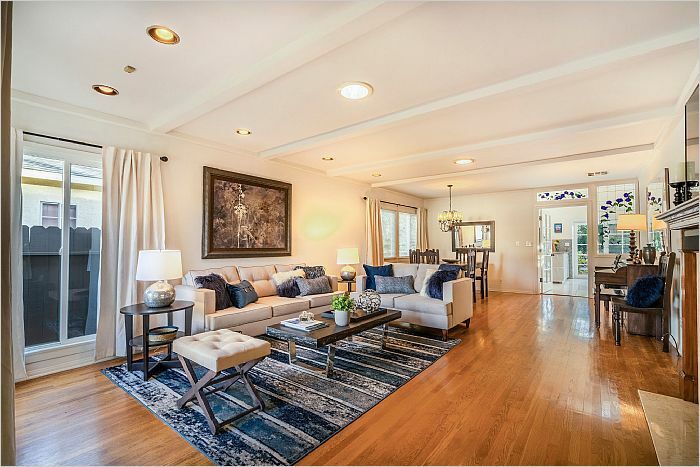 A prominent open floor plan with hardwood floors greets guests at the door and connects the spacious living and dining areas. Large windows and skylights flood the space with natural light. 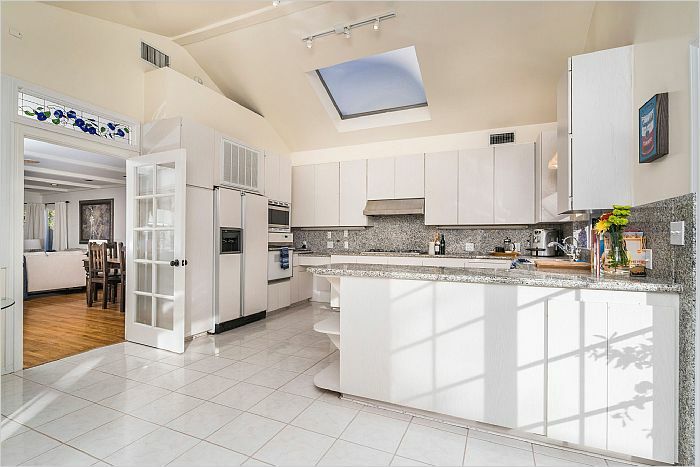 This bright and open feeling continues into the kitchen which has high ceilings, large skylights, granite counters, and tons of cabinet space. The kitchen also features a lovely breakfast nook and doors that lead to the covered patio and backyard. The master retreat is a space of tranquility with high ceilings, doors to the back yard, a walk in closet, and en-suite bathroom with spa tub. The 2 additional bedrooms are spacious and share a full bathroom. 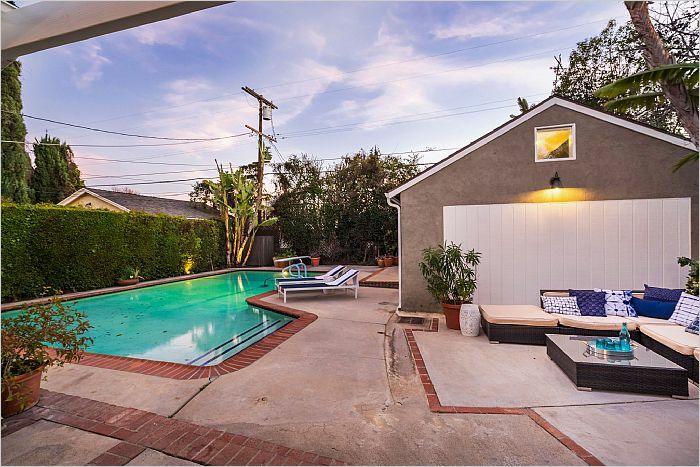 The private backyard features a pool complete with diving board, and large patio area made for lounging or entertaining. A special bonus feature of the backyard is the outdoor shower area, perfect for rinsing off after enjoying a swim. 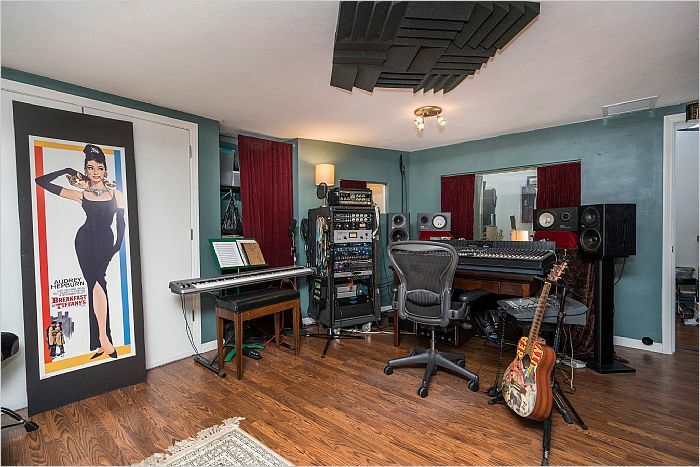 The professional recording studio is not to be missed; approximately 500 Sqft, it's the ideal musician's space and could also be made into a great home office, art studio, woman/man cave, or more! 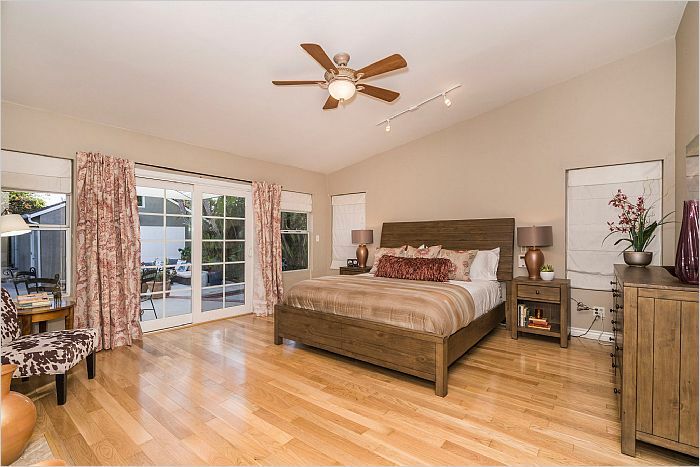 Conveniently located to the 101 and 405 fwy, the Sherman Oaks Galleria, and the shops & restaurants along Ventura Blvd, this is a wonderful home!